Every one of my personal training programmes begins with an initial consultation session. During this session we will discuss all of your reasons for deciding to come to HJ Personal Trainer – your health and fitness goals, aspirations, motivations, limitations and time constraints. We will also take a look at your health and medical background. As a result of our discussions during this initial session, we will be able to see exactly what your health and fitness goals are, how they are achievable and how much time you have available to work towards achieving them. 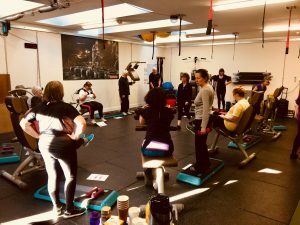 If we work well together during this initial session and you feel that HJ Personal Trainer can help you achieve your goals we can plan out a health and fitness programme together and book you in for your first fitness session. All of my health and fitness programmes are unique to each individual client. 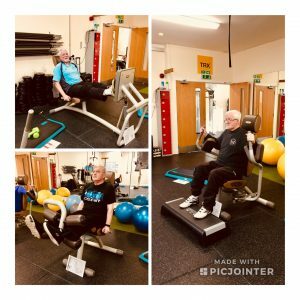 They are based on each client’s goals, aspirations, preferences and how much time they have to dedicate to their health and fitness programme. 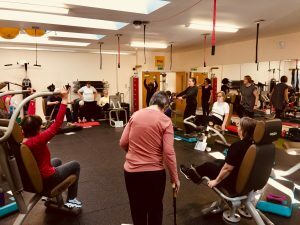 The first session of any health and fitness programme can contain important fitness tests such as body measurements, mobility screening, posture assessment, BMI measurements, body fat percentages, stretch and flex tests. We will also carry out some physical fitness assessments to assess your cardio-vascular fitness and body strength. These tests and assessments are really important as they help us to identify any particular strengths or weaknesses present and also allow us to move forward and design a health and fitness programme that will ensure we achieve all short, medium and long term health and fitness goals. 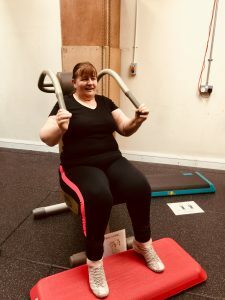 The following health and fitness programme can last from just a few weeks to more than a year and consist of 3-4 sessions a week or maybe one session every two weeks – it’s up to you! Click on my What does Personal Training involve? page to see what other types of activities you can expect to take part in during a small group health and fitness session. Do you suffer from chronic pain? Are you in rehab post-op or after an injury? Have been told you need pre-hab for an upcoming operation? Or maybe you just have a niggling sore knee/hip/back/shoulder/ankle/foot? Mobility screening is a holistic assessment that identifies areas of limited mobility & stability and aims to improve those areas. Once identified, subsequent training can reduce chronic pain, cut down injury risk & increase flexibility & stability. Up to 15 different mobility, stability & flexibility tests are carried out to assess a client’s movement. They include ankles, knees, hips, lower & upper back, core strength & endurance. Results are assessed and any areas identified as needing improvement are prescribed mobility training. Mobility training includes SMR (Self Myofascial Release) including foam rolling and ball release work, nerve mobilisation, stretching and specific focussed activation exercises. A full & detailed mobility training programme is provided to the client. This is updated & adapted during the client’s recovery. 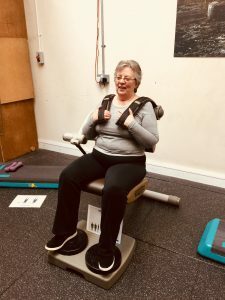 We all know that keeping fit is good for us but did you know that regular exercise can extend our active, independent lives by years, helping to improve mood, prevent falls and sometimes even lessen the need for medication? 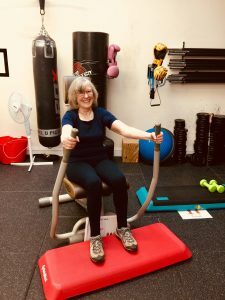 The 50+ Gym Class is designed for all adults regardless of physical ability and fitness condition. Whether you are completely new to exercise, recovering from illness, injury, surgery or coming to terms with a recent disability. The class is a mixture of aerobic, strength, flexibility & balance exercises. I use Technogym Easyline machines to ensure a smooth and safe strength workout along with steps, dumbbells, exercise pedals & wrist weights. Each participant works at their own level and at their own pace. 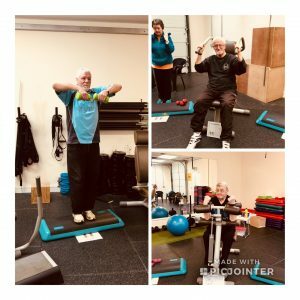 The 50+ Gym Class is inclusive to all abilities and is self directed to ensure that everyone is able to work at their own pace. I am on hand 100% of the time to help out new comers, to perfect technique, to add regression or progression to participants workouts or simply to make you a cup of tea and have a chat! Have a look at the photos below to see how much class participants enjoy themselves! The class is 1 hour long but you can come and go anytime within that hour. Arrive at the start and stay for the whole hour, arrive half way through and stay for 10 minutes. It’s up to you. You can work at your own pace for the right amount of time for you. 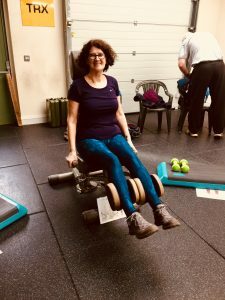 I am a fully trained Personal Trainer and I have specialised in Exercise for Older Adults & Adults with Medical Conditions. I can make sure you are exercising to your full potential, within a safe & friendly environment. I can create regression or progression within all of the exercise on offer to make sure the class is unique for you and who you are. Why not pop in for a chat and a cuppa so you can see what’s on offer and meet some of the class goers and me? 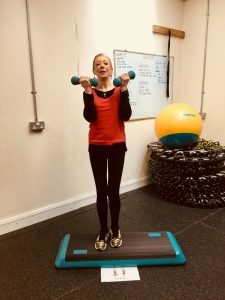 Everyone is welcome to have a look at what we do – and remember, everyone that you see at the class working out was a newcomer once too – they took the plunge and decided to come along and try a class out and they haven’t looked back since! 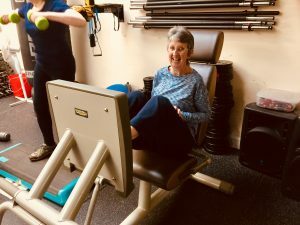 Be good to yourself – come along to the 50+ Gym Class!